As a congressman, Polis has been a big defender of Bitcoin and other cryptocurrencies. When Senator Joe Manchin called for an outright ban on Bitcoin, Polis responded with a satirical call for a ban on the U.S. dollar in which he elaborated on some his real criticisms of fiat currency and beliefs in the benefits of cryptocurrency. He’s also supported some rulemaking in the cryptosphere, like a push to require Members of Congress and their staff to disclose their cryptocurrency holdings, a tweak that would update current ethics rules. There’s absolutely no reason to believe that any of these issues are going to change a single vote in this race, but it does at least give Polis an image of being a forward-looking guy and willing to try new things. His Republican opponent, Walker Stapleton, is running on bolstering state-cooperation with ICE, no gun control, and opening up federal lands to the energy sector—in other words, nothing new there. Stapleton has also had to deal with his family’s high-profile relationship with the Ku Klux Klan in the past. 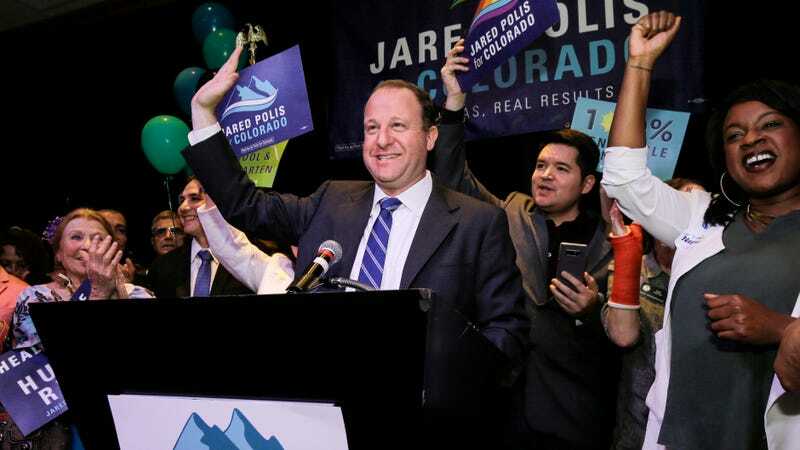 Clarification: While Polis is pushing to update financial disclosure rules for lawmakers and their employees, the changes he seeks would not apply to all federal employees. We’ve updated the article to clarify this distinction.